You have started your business more than 50 years ago in the fashion industry. How do you come to this idea of El Corte Italiano? What about your history? El Corte Italiano was founded by Pedro Martín Domingo in the 1960. Since the day when we have opened our first shops till the 1990’s, we specialized in the fashion industry for ladies, including party and wedding dresses, and clothes for gentleman, babies and home as well. From the 1990’s, when the shopping centers and low costs shops started to appear, El Corte Italiano started to close some stores till the point where only the shop specialized in the fashion for ladies and home remained open – the latter had the higher success. Anyway, in 2014 with a generational change, we have decided to bet and specialize only in party collections, where the negotiations and personal advising for clients are fundamental. In which ways the Corte Italiano is different from the other stores selling party dresses? Since our birth, our priority has been to create a store able to let the client feel like at home, suggested and assisted in each moment, with a selection of dresses from different styles and proposals. We love betting with different ideas for the dress, and even if we provide a commercial offer, we always try to surprise anche create emotions with the chosen dresses. When did you decide to change the offer, including bridal dresses? Since the first time, when we have understood we were focusing on selling dresses for special events; and which event is even more special than a wedding? For this reason, we decided to give our vision not only for the party dresses but also for the nuptial fashion industry, where you have the most demanding client, the bride. Do you provide a specific bridal profile? Which collections do you offer? In our selection for brides we have different profiles, for that reason our offer is diverse, of different types and often we also provide mixed options. Based on our experience we know the first desire of a bride is to try on different styles to find the one that owns to her. We love surprising and experiencing the emotion of our clients during their bridal dress decision. Inside our collection for brides we have the 2019’s design of Demetrios, Cabotine, Matilde Cano and also models from the last season, like St Patrick y La Sposa. They are models for the classic, romantic and glamour bride. In our store you can also find from princely styles to those model which are more elegant and plain. We have design for each type of bride: starting from those brides who think to a simple and intimate ceremony, those who dream a great party where to shine to those are ready to broke all the schemes and traditions. In addition, in our collection of party dresses you can find other nice options for a less classic bride. When searching for a bridal dress, besides the design, the negotiation is fundamental. How can you describe the manner with your clientes? Since the moment when the client goes inside El Corte Italiano, for us is important to let them feel like at home, and we want to take care of them while looking for their dress. We would like to know what they are searching for and their preferences, so we can start the research as soon as possible. The person that will assist the bride will give the right weights to her desires giving her different options and alternatives taking into account her silhouette, budget and style. For us the dialogue and complicity with the brides is at the basis of each process. Generally, the largest part of your clients are from abroad. Having the party collection together with the bridal one gives you effectively a help considering also those coming with the bride for searching for her dress? For whom are the collections thought? All the guests of the wedding can find their own dress in our store. We give a lot of attention to the godmother and mother, to the sisters of both bride and groom, as they are very important in the maggiage day. But, we have not to forget that in our store you can find long dresses or dresses for cocktail parties, including suit trousers and elegant jumpsuit. We do not offer only exclusive clothes for weddings, but also for other type of events. Do you have a brand that has a particularly high demand? How would you define the styles of the dresses in your shop? Our clients are so different that we cannot stand out any brand in particular. For that, when we select the dresses is more highlighted the models’ way of wearing them rather than the brand. Instead of having the complete collections, we prefer to have the dresses that really move us, offering a variety of styles and prices. For what concern the dress styles, we do not focus in a unique style, fabric or taste, the most important thing is to always offer elegant and unique alternatives. Going beyond the different collections, do you have an outlet section with a good offer of dresses? How important could be the outlet for the clients of your store? Thanks to this outlet section, a lot of brides and guests can find in out store permanent assortment proposals that can fit specific budgets. For us, the outlet section is an additional choice for brides that do not want to invest a lot of money for the bridal dress or that would prefer to invest it in other wedding activities. Not only the location of a store is important, but also its inside. What about the interiors of El Corte Italiano? When going inside of El Corte Italiano you know you are in a special place, an area thought to transform the moment of dress research into a memory yet. 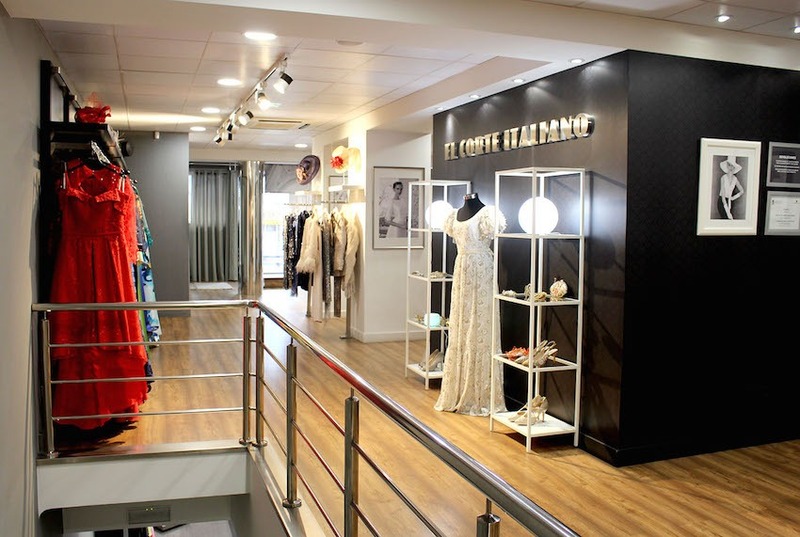 The second floor of our store is dedicated only to the dress fitting in order to have more intimacy. In addition, the large area where are the fitting rooms is perfect to accommodate the family and friends as well. We know that the bridal dress fitting is very important and the emotion is part of the process, for that reason we have decided to realize this special area, to let the experience be unforgettable. If you are looking for a dream bridal dress, we recommend you the collections you can find in El Corte Italiano. You can put in touch with them through their website http://novia.corteitaliano.es/ or calling them at (+34)91 476 09 09. Thank you so much for your time!